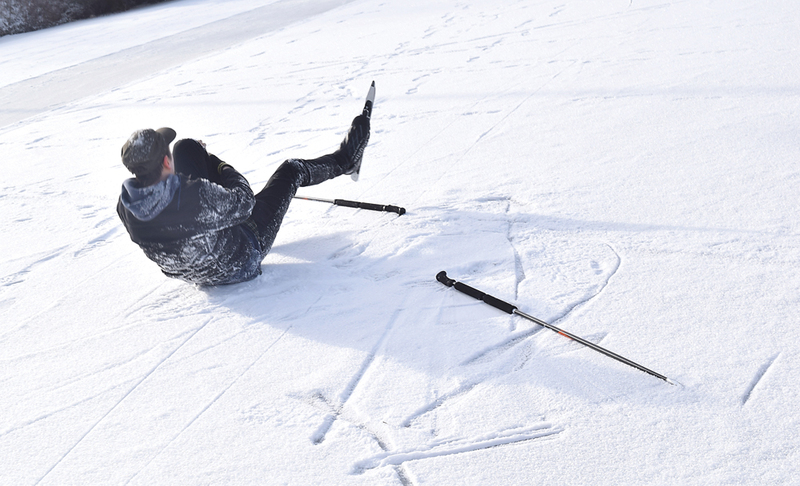 LAKE PLACID — I fell. After a good half-hour of ice skating, I was only a couple hundred feet away from the shores of Mirror Lake when I bailed and busted my knee. My partner in crime, Jesse Adcock, took photos as I gripped my leg and winced in pain. With that out of the way, let’s get into my continuing battle against seasonal affective disorder and first Nordic skating experience. I may have donned skates once in the past, but I was hugging the wall the whole time while my ex-girlfriend smirked and giggled. 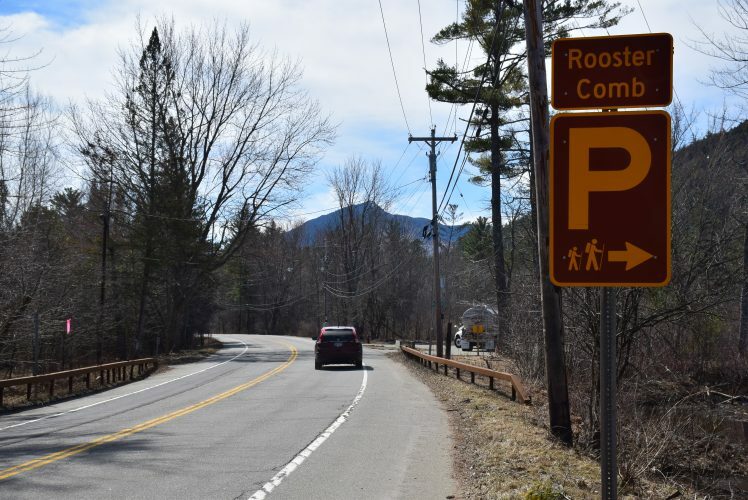 For this outing, I was going to need the help of a professional — John Dimon, former competitive speedskater and owner of the Human Power Planet Earth bike shop in Saranac Lake. We opted out of hockey and figure skates and went with blades for a form of ice skating that’s been gaining popularity in the past few years — Nordic. Where regular skating generally has people going in circles around an ice rink or speedskating oval, Nordic is mostly done on waterbodies (“wild ice”), and, like its skiing cousin, is focused more on distance than quick loops. Nordic blades are also massive. I felt like I was slowly gliding on two cutlasses a pirate would keep in his or her belt. The unique thing about Nordic blades, though, is that they clip onto cross-country ski boots. So if you’re an avid Nordic skier, you don’t have to buy a new pair of boots, just a set of blades. Dan Spada of Tupper Lake started Nordic skiing a little over 10 years ago. In a phone interview, he said he skated as a kid but fell out of it for a while until he started taking his children skating at the Rideau Canal in Ottawa. 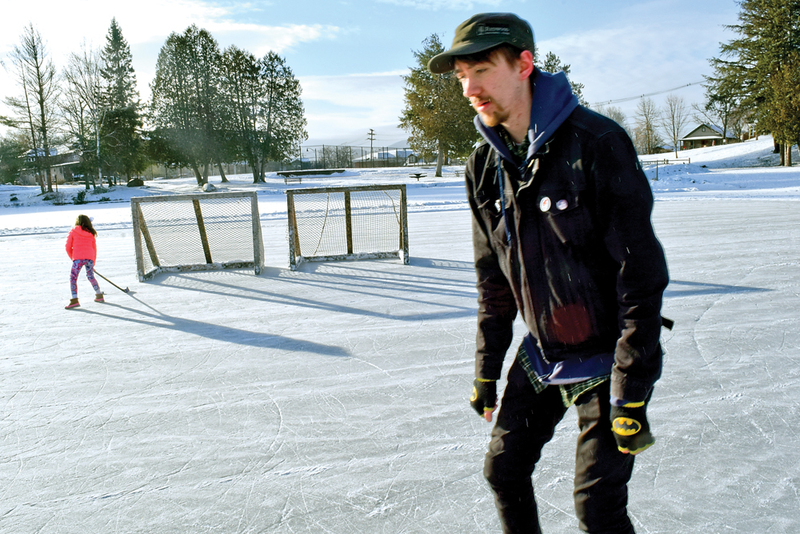 One day, among the dozens of skaters, he noticed a man with long skates and ski boots. “What are those, and where did you get them?” he asked. 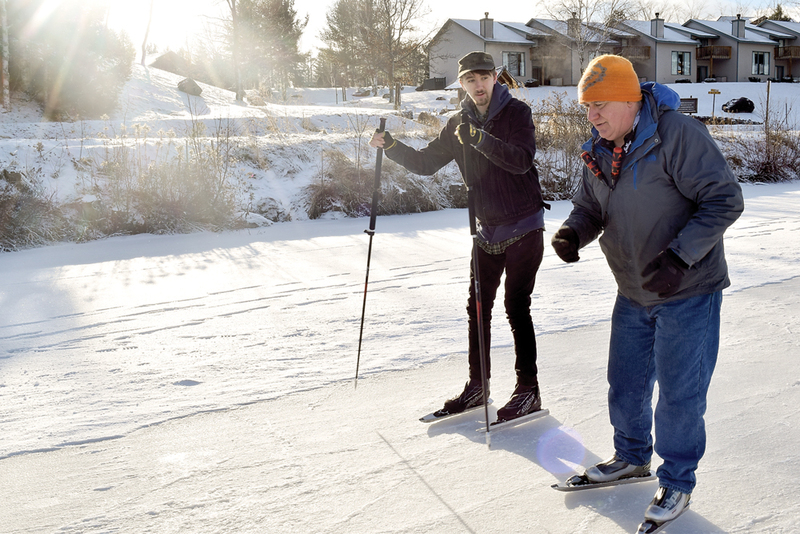 After purchasing his first pair of Nordic skates, Spada said his first skate was a revelation. With an expert at my side, nothing to grab onto and the frozen lake water beneath me, I took my first strides on the ice. Well, they were more like tiny steps — really tiny steps. At the same time, a father taught his child how to skate. I felt like that kid — unsure and slightly nervous — only I was 5 feet taller. “Do you know how penguins walk?” Dimon asked me as I tried my best not to stare at my feet. You need to turn your feet out but also lean in on your metatarsals. I positioned my feet like a baby who wasn’t sure which bone development issue he had, in-toeing or out-toeing. “I know it seems weird to step sideways and go forward,” Dimon said. 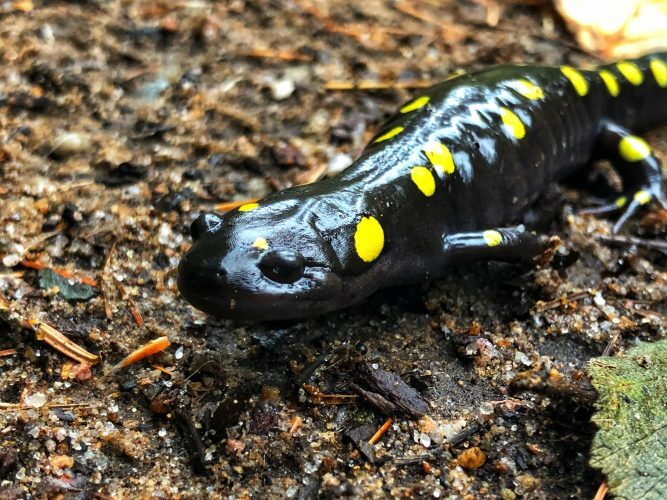 What started out as merely tiptoes slowly turned in to 2-foot-long glides on each leg. 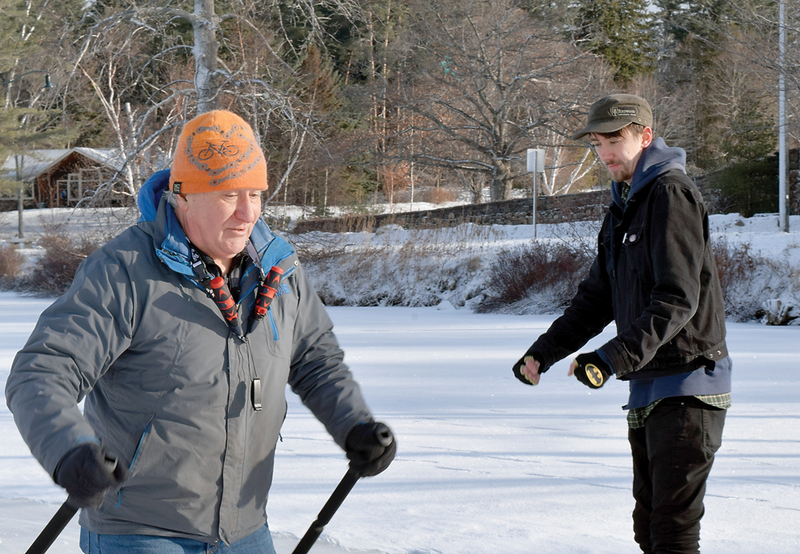 After a couple of loops around the rink, it was time for the real challenge — the ice path that goes around the whole lake. Dimon handed me two cross-country ski poles. They give you a break from moving your legs constantly and also help you navigate rough, bumpy ice, and there was plenty of that. 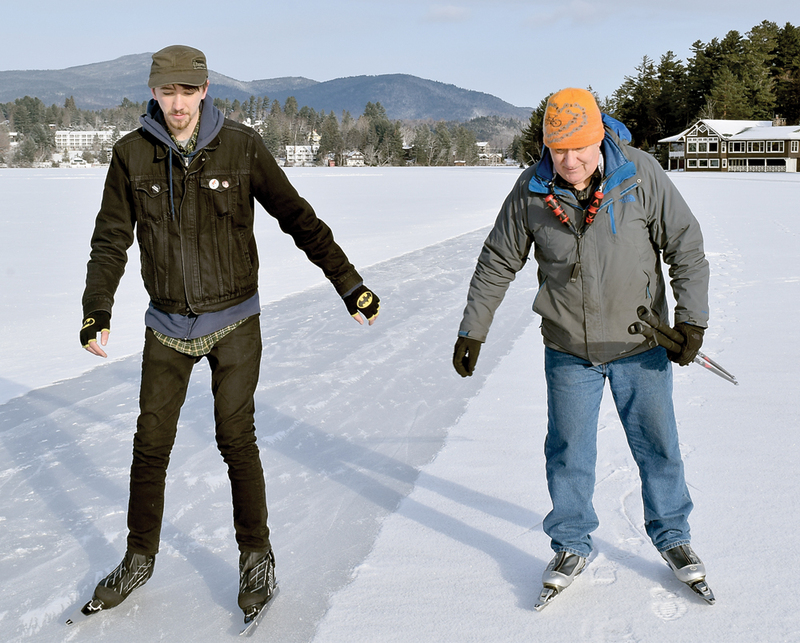 I wasn’t ready to skate the whole lake, but I made it my mission to at least reach the Lake Placid Club Boat House. The sight of the gray building in the distance fueled my legs. Spada shares the sentiment that winter can be a rough time for the human psyche. Now retired, Spada said he’ll skate many miles when he goes out on a water body. As we skated away from the shore, I noticed two pokey tools dangling around Dimon’s neck. My heart started beating a little faster after that. Made me wish I hadn’t asked. However, if the ice could hold packs of sled dogs and snowplows, it was safe enough to hold my skinny-fat body. If it were thinner, the skating could crack the ice, producing a sound similar to when thick metal cables snap. 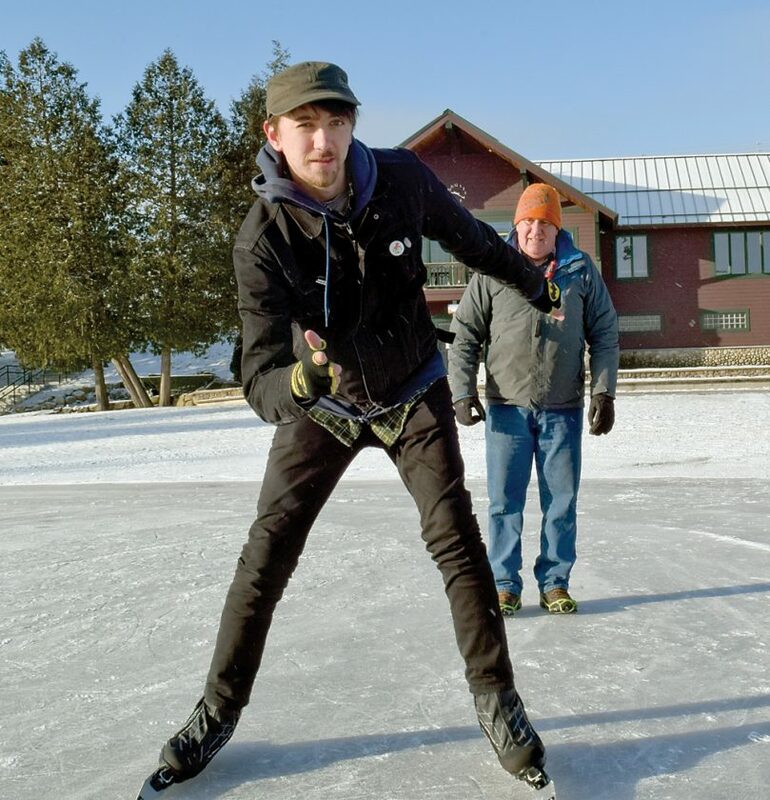 Spada said he likes to skate as early in the season as possible when the ice is just thick enough to hold a human body. Spada has fallen through twice and has assisted others who’ve fallen in, too. The first time he fell in he was wearing fleece clothing and got soaked. He pulled himself out but had some friends help strip him down and change clothes. Then they kept skating. 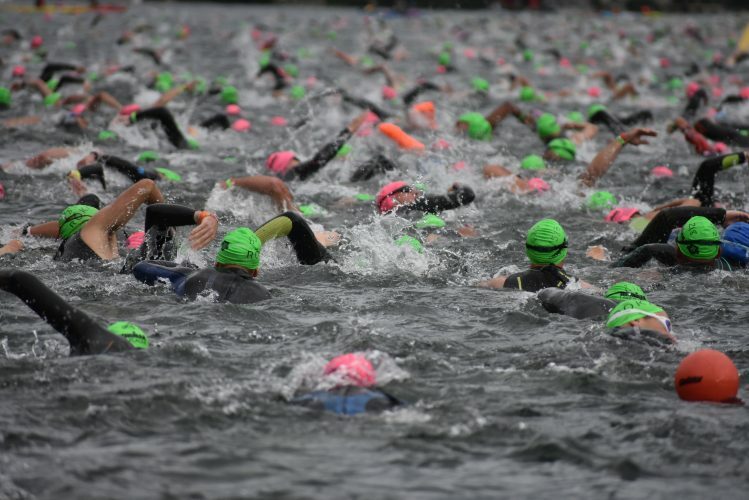 He said it is not just about what gear you have — dry suit, personal flotation device, ice picks — but also how calm you can remain. Although my legs were exhausted and the boots starting to ache and pinch my ankles, I managed to reach the boathouse very slowly but surely. For my first time skating, I regard it as an accomplishment. Mirror Lake is an easy spot for Tri-Lakers to frequent, but there are countless patches of wild ice to skate in the Adirondacks. Spada tracks his progress and has currently skated on 42 waterbodies. That includes lakes, ponds, rivers and streams. Even though he loves Lake Champlain, he said it’s hard to pick which water body is his favorite. Spada’s vision of vast waterbodies, winding creeks and risky yet beautiful wild ice fills me with a sense of adventure. And perhaps I can experience it for myself as soon as I get over the baby-deer-trying-to-walk phase of my training.